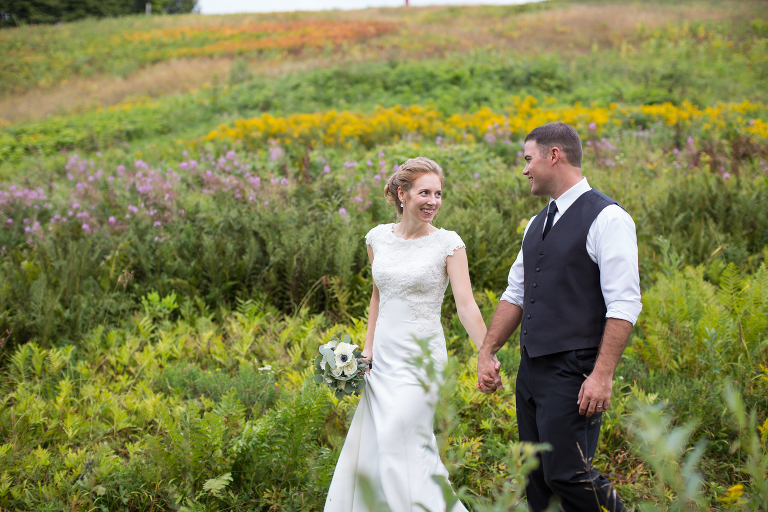 "We can't say enough good things about Laura and the beautiful photos that she took at our wedding! If we stay in the midwest, we will definitely go back to Laura Schmitt Photography for family photos." 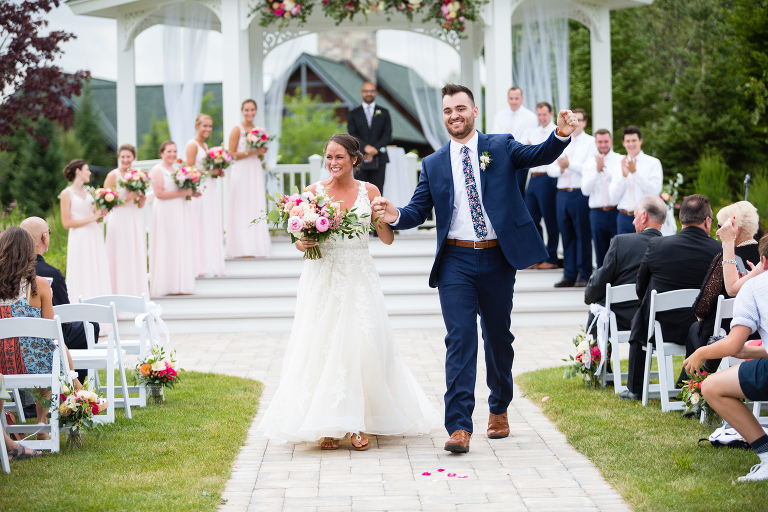 "...We were planning our wedding remotely, and Laura was great about working with us via Skype/email. Laura has a lot of experience photographing weddings, so I would recommend booking her early on in your wedding planning process to get feedback about the logistics of your wedding day. She gave us a great advice about how much time to budget for posed photos (we took couple photos in the UW Madison Arboretum and family photos in front of the Capital), and then she kept us on schedule the day of the wedding -- taking all of the posed photos that we wanted within the designated timeframe. She also made great suggestions on the day of the wedding. For example, we hadn't given any thought to the first look (we try to be go-with-flow people). And Laura came up with a plan for our first look on the day of our wedding, and these photos are some of our favorites. Laura's background in photojournalism was evident in the candid photos from our wedding day. She hustled ALL day long -- taking a ton of photos often from a variety of different angles -- so that when you look at a series of photos, you actually get a sense of what it felt like to be at our wedding! My husband and I have already gone through the wedding photos several times -- re-living our wedding day. Laura is a kind and down-to-earth person -- which are qualities that we valued -- especially since we were with Laura from the time that I was getting ready through the ceremony and reception. At the last minute, we asked Laura to stay an extra hour later (you can pay per additional hour) to take photos of us at one of our favorite bars in Madison. Laura was able to stay late, and the photos that she took of us walking down State Street and being at The Plaza are some of our favorites. Laura, if you are reading this, thank you!!! "Laura certainly surpassed our expectations; the photos turned out better than we could have imagined. Laura was a pleasure to work with. She helped better organize the chaos of the big day, helped push through the schedule, and was flexible and fun! We have received countless comments from people who have seen the pictures and say they belong in a magazine! Finally, the cherry top was that she takes her time to put her personal touch on everything. It is obvious photography is a passion of Laura's and her personal touches shows how she cares for her clients. Definitely would recommend her to anyone who asks!" "Laura is an amazingly talented photographer. I hired her to photograph my wedding and I would hire her again, and recommend her to everyone I know, without hesitation. Laura’s work is absolutely phenomenal. I think some photographers have “the eye” and Laura is definitely one of them. Laura was able to capture “us” and our personality as well as our guests, candid moments, and all the details of our day. Nothing felt artificial or posed. She worked tirelessly throughout the entire event. I still have friends asking me “Who was your photographer?! I never saw her stop taking photos!” Working with Laura was like working with a friend I have known for years. She was easy to communicate with, extremely thoughtful, adventurous (not many people would jump into an ATV to ride to the top of a ski hill for photos – but Laura didn’t think twice), and creative. I am so glad we had Laura there to capture our wedding day. We will treasure the moments she captured forever!" 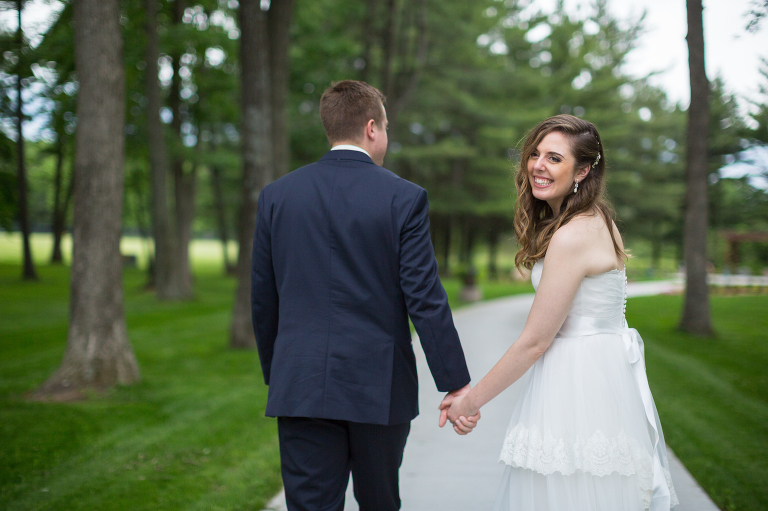 Laura was easily the best decision that we made throughout the whole wedding planning process. She is kind, funny, professional, easy-going, and incredibly talented. She was so easy to work with and made everyone feel comfortable. We worked with her specifically for her photo-journalistic style and the pictures turned out better than we imagined. The pictures tell a story of our wedding day. She captured all the moments and emotions that we never wanted to forget. We are so pleased with the final product and absolutely recommend her to anyone looking for someone to really document the memories. We plan on going back to her for all of our family photo sessions, too! Love her, love the final product!